April 4th marks the birthday of the late Maya Angelou, whose wise counsel remains as legacy. Endowed with countless gifts, Ms. Angelou is known for uncommon insight and expressiveness on many topics, perhaps a surprising one: the power of philanthropy. In a high-stakes era, where anti-Black racism is mounting and economic rifts are widening, philanthropy through participation in giving circles is attracting growing numbers of Black Americans. Ms. Angelou’s essay, “The Sweetness of Charity,” delves dynamics between the giver and the receiver. And though the term “charity” stirs many connotations, the essay focuses in on the bond of shared humanity revealed through giving. The sweetness recounted in the essay evokes the liberating appeal of giving circles. Freedom that, in these times, renders Black-led giving circles all the more crucial. If you’re unfamiliar with the phenomenon, a giving circle is a form of philanthropy where individuals with common interests come together as a group to pool their charitable dollars. Members of the group collaborate to distribute their funds and resources to selected beneficiaries, such as community-based organizations and social causes that align with their interests. While these are basic characteristics, on the ground, giving circles vary widely. Like book clubs, each giving circle has autonomy to determine such things as its operational structure, membership requirements, amounts contributed by members, means for pooling dollars, funding interests, and processes for fund distribution. A 2016 study by the Collective Giving Research Group documented roughly 1100 giving circles nationwide — a number tripling over the past decade. Significant to the overall increase are identity-based giving circles. For 60 percent of all giving circles, identity is a central factor. That is, circle organizers specify race, ethnicity, age, gender or sexual identity among the one or more identities defining their collective giving group. As community foundations and other mainstream philanthropic institutions struggle with issues of racial inclusion and responsiveness to marginalized groups and communities of color, Black-led and other identity-based giving circles pose a disruption to philanthropy’s structural barriers to social change. Black Americans were shown, in a 2012 W.K. Kellogg Foundation study, to have produced the steadiest growth of new identity-based charitable funds over the prior four decades. Among the wave of new funds are giving circles. Black organizers of circles cite the model’s adaptive nature, democratic principles, and suitability for giving back with greater responsiveness to one’s community among the features they find attractive. For African-descent people, giving circles are an iteration of a giving model that has long been a part of Black communities and one that carries cultural resonance and historical significance. Collective kinship giving models, such as susu (or sou-sou), are a system of saving and distributing resources for the material welfare and spiritual wellbeing of each other found throughout the Caribbean with roots in West Africa. American history is awash with examples of how Black Americans have exercised collective giving to finance social resistance in serial struggles for liberation. For a population systematically denied wealth accumulation, and too victimized by wholesale wealth extraction, collective giving has been instrumental to Black life for 400 years — from the formation of early America through the atrocity and abolition of slavery to Reconstruction and from the Jim Crow era through the civil rights movement, extending to today. During slavery, free Blacks would pool funds to purchase the freedom of the enslaved. Some groups formalized their giving and civic organizing by establishing mutual aid societies, such as the Free African Society, established in 1787. The corps’ mobilization of collective resources and voluntarism was pivotal during the 1793 Yellow Fever Epidemic of Philadelphia. Accounts from the time, cited in Thomas E. Will’s Pennsylvania History article, claim nearly 20 times more Black people aided the afflicted than did whites, helping lift the city out of crisis. Over the century following Emancipation, various approaches to collective giving created Black newspapers, hospitals, banks, churches, schools and colleges — bedrocks for strengthening Black society in America. By design, the historic Rosenwald school project relied on collective giving among Southern Blacks to match the financial contributions of Sears & Roebuck CEO Julius Rosenwald. This collaboration built over 5300 schools and had a multigenerational impact on the educational gains of Blacks in the Jim Crow South. During the civil rights era, collective giving was again a measure for advancing social change. Notable is The Club From Nowhere, a group formed by Georgia Gilmore with other Black women, that funded the Montgomery Bus Boycott with money earned from selling home cooking and baked goods. Resurgence of formalized collective giving in the form of Black-led giving circles has produced a wide spectrum of groups all across the country. Most major American cities boast at least one Black giving circle, and they are flourishing in smaller cities and rural areas, too. The majority of giving circles are place based, with a specific city or geographic area framing their membership and giving. Some circles, however, extend beyond borders and are based on bonds formed in childhood, during college or through other shared experiences and interests. One giving circle was formed by alumni of an HBCU, living in different cities, who decided to pool resources and invest in artists whose work advances social justice. While numerous Black giving circles comprise both men and women, many have gender-specific identities and giving priorities. Women Engaged (W.E. ), a Black-led giving circle in South Carolina, is one of dozens of circles formed to support Black women and girls. The Brotherhood of Elders Network, an intergenerational group in the Bay Area, is one of several giving circles specifically comprising and focusing on African-descent men. One New Jersey-based women’s circle channels its support to organizations led by Black lesbian, bisexual, transgender, and queer (LBTQ) women that are working to improve the lives of Black LBTQ women. These are but a few examples, illustrating the intersectional identities, wide geographic span and range of funding interests among Black-led giving circles. 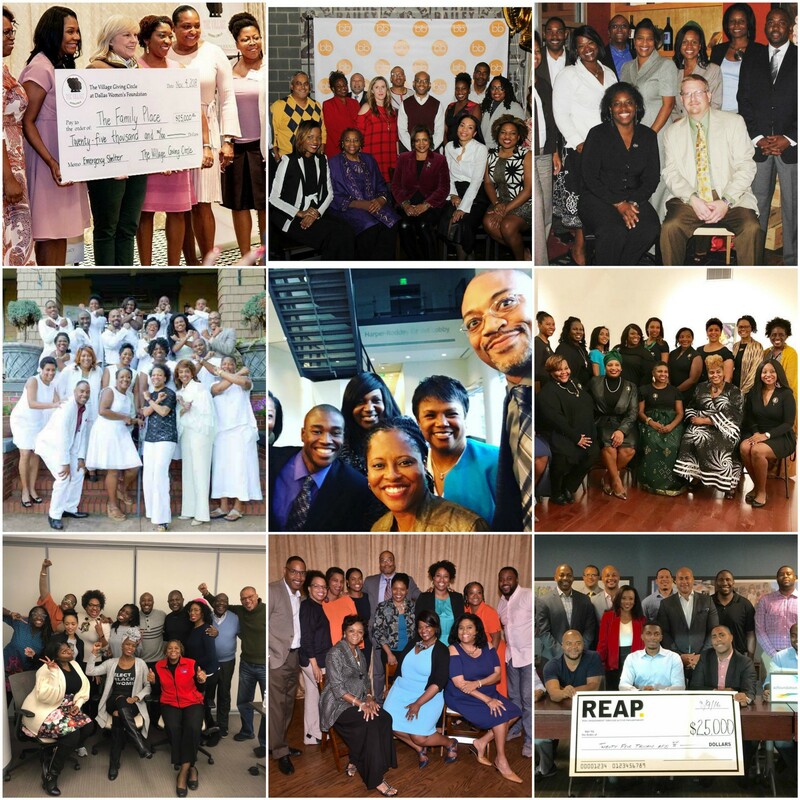 With less than two percent of funding by the nation’s largest foundations going specifically to Black communities, as reported in a 2017 ABFE — A Philanthropic Partnership for Black Communities and Hill-Snowdon Foundation study, Black giving circles provide strategic, sometimes niche, support for organizations routinely neglected by other forms of philanthropy. African ancestry as well as cultural histories and social principles valued in Black communities are often asserted in the names giving circles choose. Ujima, a Swahili word meaning “collective work and responsibility” is where Ujima Legacy Fund, an African American men’s circle in Richmond, Virginia, draws its name. Zawadi, the name chosen by a New Orleans circle, means “gift” in Swahili. Sankofa, which appears in the name of several giving circles, comes from Ghana’s Akan tribe and conveys the idea of taking lessons from the past to guide the future. A giving circle in Christiansburg, a town in Virginia’s Shenandoah Valley, created the name New Mountain Climbers not only as a reference to place but also to MLK and his famous “Mountaintop” speech. Naming generally carries a message and serves as a point of pride. In combination with grants and financial investments, Black giving circles are intentional about contributing additional value — both concrete and intangible — to their causes and communities. Members are frequently inclined to be hands-on with grantee partners, giving time as skills-based volunteers to lend technical assistance and in-kind services to sharpen capacity. This type of support, around operations and capacity building, is vital to nonprofit organizations yet remains a funding area many foundations exclude. 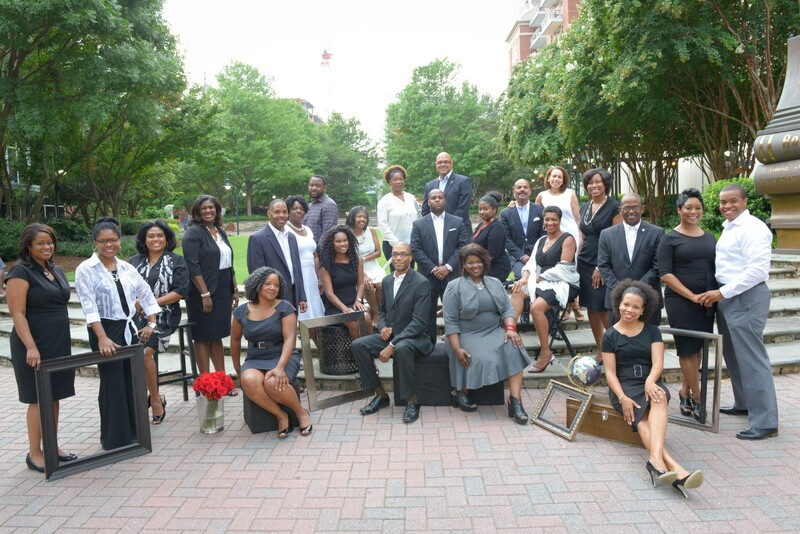 Members of Black giving circles commonly come with a deep connection to the place, having been born and raised or living and working where their grants are made. Accordingly, members with these ties possess knowledge rising from proximity, lived experiences and longtime relationships with people in underserved communities. Their insights and cultural competencies work to foster mutual trust and create a safe space for candor. A circle is then afforded opportunities to engage in discussions that differ from those of other grantmakers and thus uncover root causes of issues and make strategic moves with both financial and social capital. Benefits of a giving circle extend inside and out, with circle members often gaining as much as they give. Being a part of a circle and “having skin in the game” opens up a new line of sight on philanthropy, deeper connections in one’s community, and opportunities to leverage strategies and tools as grantmakers. In many instances, program officers and other professionals in institutional philanthropy join circles for fresh insights and camaraderie outside of their jobs, while practicing philanthropy on their own terms. Further, donors of modest means who join circles are empowered with small-dollar gifts — engaging in a meaningful philanthropic practice yet still able to build wealth. Members of Black-led giving circles have attributed significant professional and lifestyle changes to their participation in a circle. 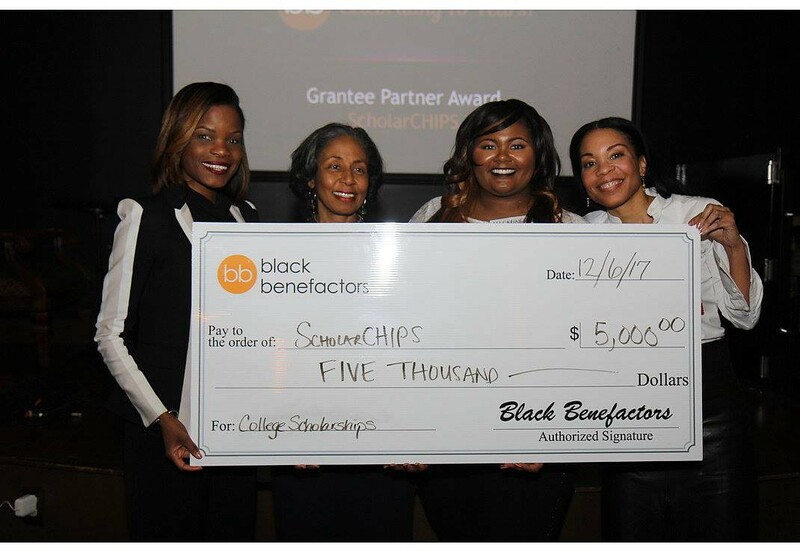 They report changing careers, launching social enterprises, pursuing new or higher educational degrees, running for political office, and authoring works to elevate Black giving. Motivated by their giving circle involvement, members rethink their own legacy and decide to give more and lead in different ways. Some opt to establish charitable funds for their personal or family giving. And it’s not uncommon for members of one circle to join another or to start a new circle after a relocation. Too often pushed to the margins of institutional philanthropy, Black donors — no matter their age, gender, sexual identity, socioeconomic status or geographic region — are seeing value in giving circles. Unlike other communities of color and historically disenfranchised groups, for Black Americans giving circles affirm an African legacy. Circles represent a proven philanthropic vehicle with a 400-year track record and stand as a rising force for social change during a period of increasing racial hostilities, cultural erasure and divestment from Black communities. While the model is not suited for every donor, without doubt, it is one deserving further cultivation in Black communities and greater notice by philanthropy-focused institutions and researchers. In closing her essay, Ms. Angelou urges us to change how we think about philanthropy — a shift powerful enough to transform not only others’ lives, but also one’s own life and the wider world. As members of Black-led giving circles, we have found this to be true; it multiplies your giving, your impact and your joy. Few things are sweeter than that.